Now a day’s each and every person possesses its own car. No vehicle comes cheap as almost all of us have to pay a significant amount upfront and then take a car loan or vehicle loan. The entire preposition is expensive. If one owns his house, he might be having his own carport. If in the case, one is in the rented house, then he should convince his landlord to install a carport. It is very essential to have a carport at home. If there is no carport at your home, the vehicle is exposed weather elements like wind, storm or scotching heat which will destroy your vehicle. It is imperative to find a way to protect your car or any other vehicle optimally and keep in good condition. As compared to the cumbersome process of building a garage, getting a car port is extremely affordable and is not as imposing on the property. They can either be attached to the wall or come as free standing models. 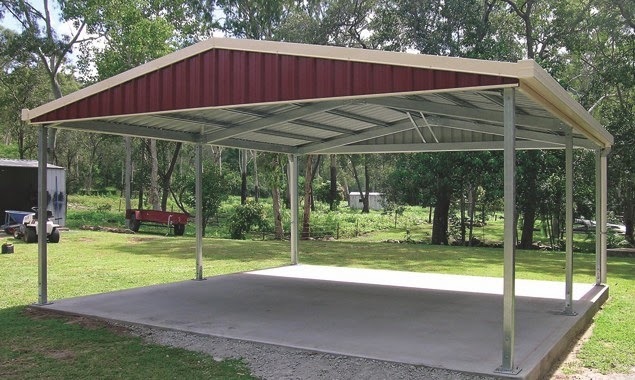 Cost effective: Another major advantage of carports is that they can be afforded by all. Constructing a garage can be very expensive. The car port offers the same benefits as offered by the garage. Temporary carports: Since carports are not permanent installations, they can be dismantled if not going to be used for a prolonged period of time. They do not occupy a lot of space in the property and are easy to install and disengage. Different sizes and styles: Car ports come in a variety of different sizes and styles. You can choose from a range of triple sized, double sized or single sized carports depending on the type of vehicle you own. If you have more than one vehicle, you can customize carports to accommodate all of them. They are ideal for workmen or farmers who have to protect their vehicles as well as their machineries from the vagaries of weather. Purchasing accurate carport: It is important to buy the right carport based on the space available and weather conditions in your area. One of the best ways to do this is to take the help of highly experienced carport dealer. They will be able to offer you rich knowledge and help you make the right decision. 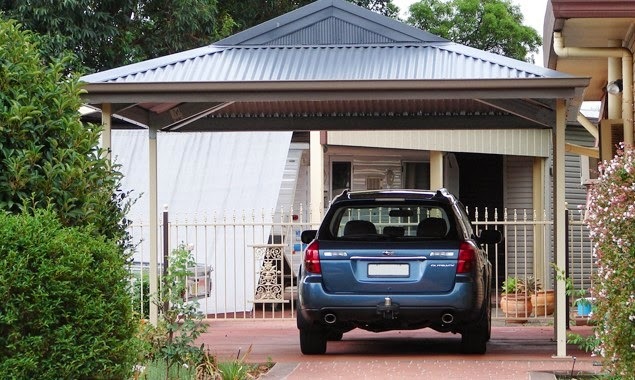 Appealing carport: Attractive and appealing look carport adds the value to the property. Especially if a potential buyer has two vehicles to park, a carport can surprisingly help them decide in favor of a property that has a garage and a car port or a large carport that can accommodate two vehicles. Provides extra storage space: Last but not the least, carports provide extra storage space. No matter how much we minimize our purchases, we all tend to accumulate a lot of things in our homes. Most renters will welcome additional space where they can store things they do not presently need. You can convince your landlord to invest in carports that will be a huge plus point when he is marketing his property to future renters. It is very important to find a reliable supplier from which one needs to buy carport. Supplier should offer security and protection as well as durability of the product. One should buy such carport that can withstand with strong weather conditions. Therefore, it take time to do all the research for finding a reliable firm that offers cheap carports.